Visual Studio Code>Other>Brew ServicesNew to Visual Studio Code? Get it now. 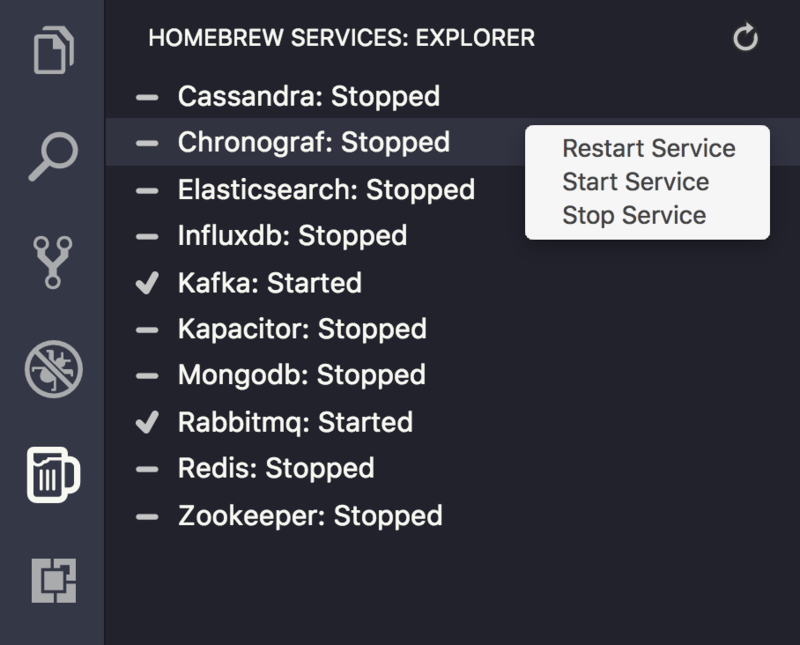 The Brew Services extension makes it easy to start and stop services intalled via Homebrew (required) on OSX from Visual Studio Code. Available on the VS Marketplace. Typicons by Stephen Hutchings - Fantastic open source icons.